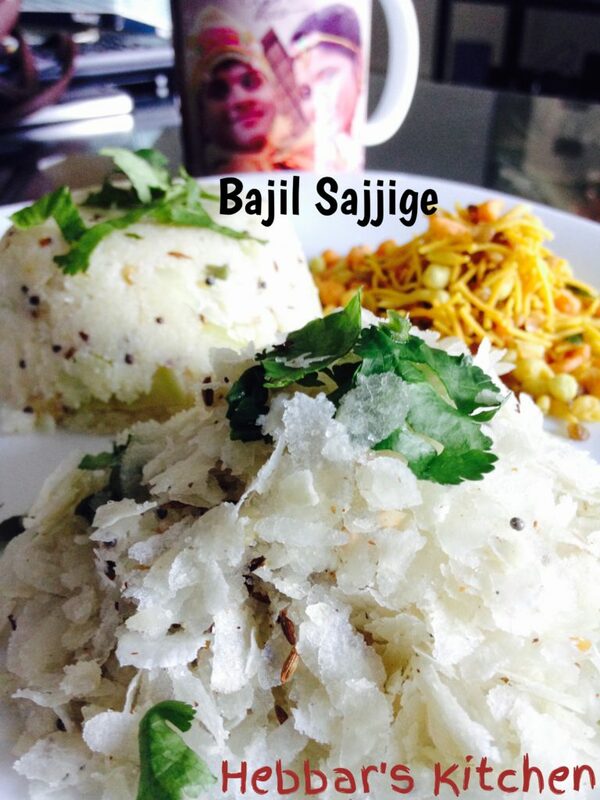 bajil upkari | avalakki upkari is one of the common breakfast served in most of the functions in south canara, managalore and udupi region. 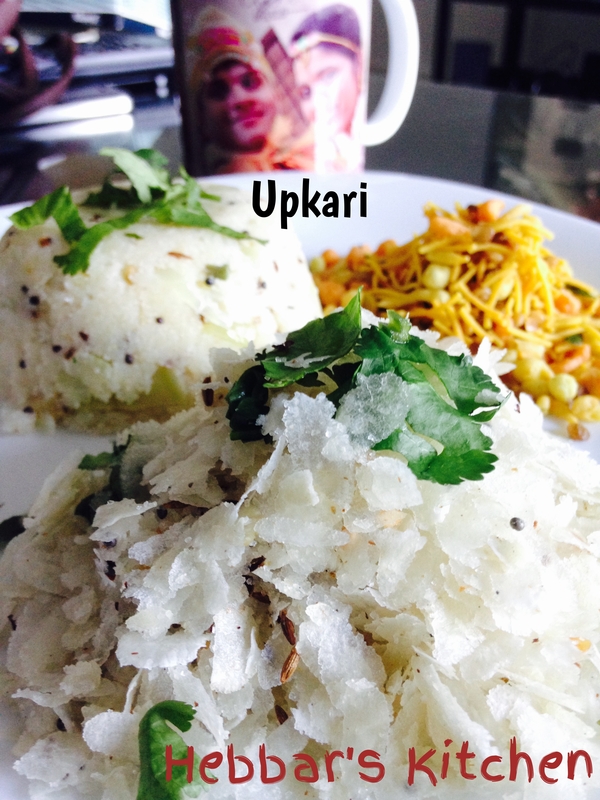 it is commonly served with rava upma and the combination of upma and upkari is ultimate. this combo is commonly called as “bajil-sajjige” in tulu. but these days avalakki and upma combination has been replaced by the more famous breakfast items like idli, medu vada and bisi bele bath recipes. heat the seasoning pan and add all the seasoning ingredients to it. when done switch off the flame and keep it aside. 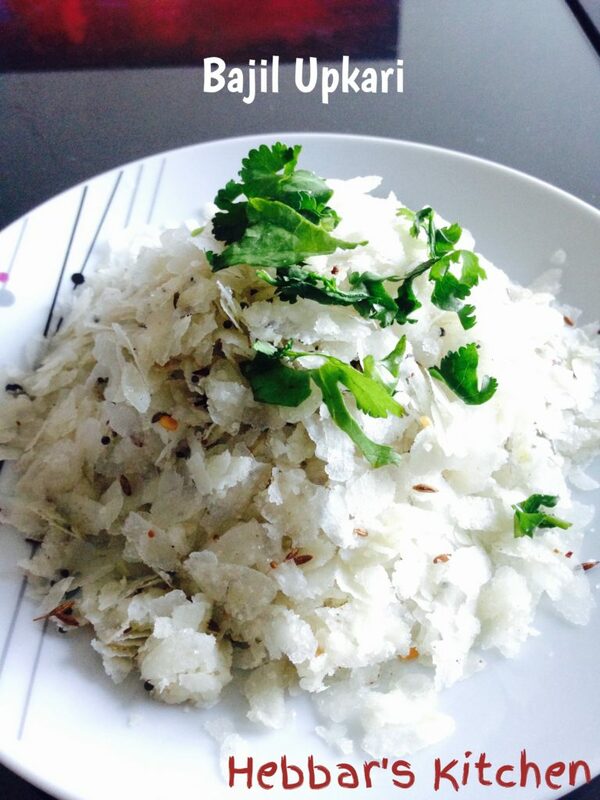 in a big mixing bowl and add grated coconut, sugar, salt, seasonings prepared above and coriander leaves. mix it well using your hands. now the upkari mix is ready. add avalakki / thin flakes to the upkari mix and blend it well again with your hands by adding 2 tsp of milk. avalakki absorbs the flavors, spices and becomes soft. serve after 15 minutes with hot uppittu. i find your recipes easy for the steps shown is easy to follow………. I will try to share it ASAP. Thanks. yeah sorry for the inconvenience!! we will share all the recipes soon..